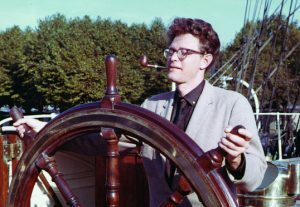 In celebration of the birthday of Poul Anderson, we re-present this article. Enjoy! 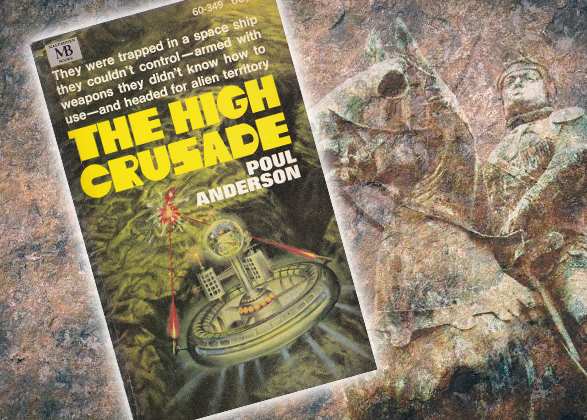 Poul Anderson was a prolific author who penned almost two hundred short stories and novels that ran the gamut from science fiction to fantasy to historical fiction to non-fiction during his lifetime. The seven-time Hugo Award winner was renowned for his exploration of politics and social issues in his stories, and for his larger-than-life heroes who seemed to fail as often as they succeeded. However, among gamers, Anderson is more wildly known for inspiring some of the foundations of Dungeons & Dragons. Anderson was born on November 25th, 1926 in Pennsylvania to Scandinavian parents. After his father died, Anderson’s mother relocated to Denmark, dwelling there until the outbreak of World War II. Anderson would later mine his experiences in Denmark in the early chapter of his novel, Three Hearts and Three Lions. The Anderson family returned to America, settling in Minnesota. 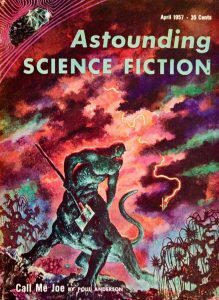 While an undergrad majoring in physics at the University of Minnesota, Anderson sold his first stories to Astounding Science Fiction magazine during the fading days of the Golden Age of Science Fiction. After graduating in 1948, Anderson put physics behind him and embarked on a lifelong career as a freelance fiction writer. He relocated to California’s Bay Area in 1953, a move that resulted in Anderson being at the birthplace of the Society for the Creative Anachronism, which he helped found. 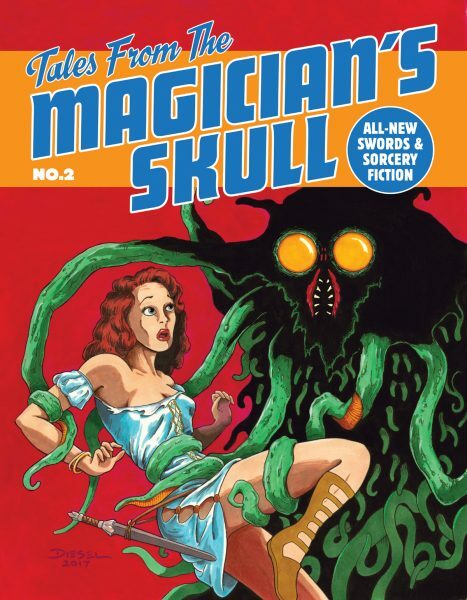 He was also one of the original members of Lin Carter’s “Swordsmen and Sorcerer’s Guild of America,” a loose-knit group of sword-and-sorcery authors that included luminaries such as Fritz Leiber, Michael Moorcock, Andre Norton, and Jack Vance. 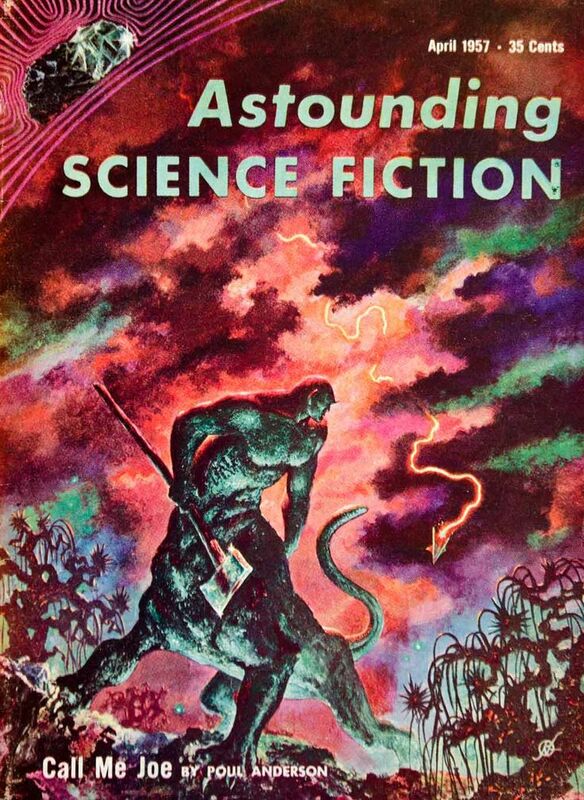 Anderson also acted as president of the Science Fiction and Fantasy Writers of America from 1972-1973. 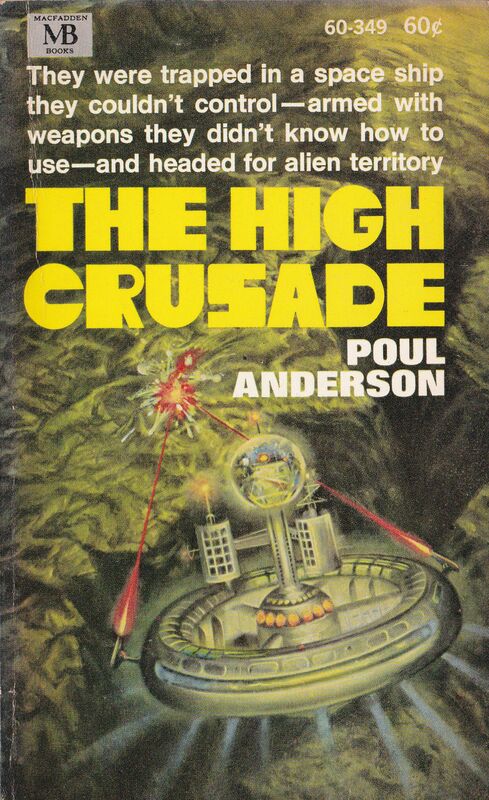 Poul Anderson died on July 31, 2001 at the age of 74. Several of his works were published posthumously, and his wife donated his typewriter and desk to The Other Change of Hobbit bookstore in Berkley, CA, where he often gave readings of his work. Despite his incredible body of work, the average gamer of a certain age will undoubtedly remember Anderson as being responsible for several elements of fantasy role-playing we now take for granted. 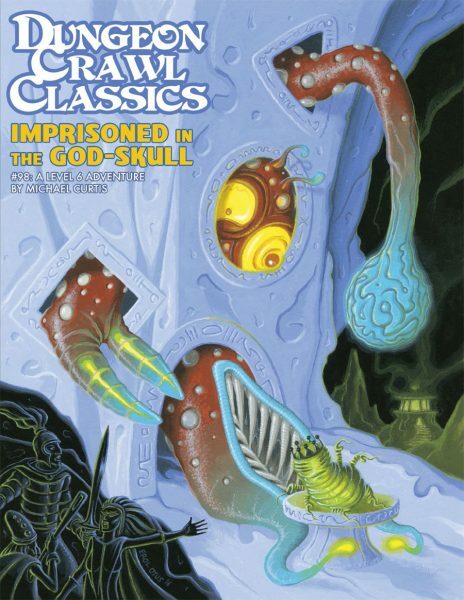 Some of these facets continue on in Dungeon Crawl Classics, making a thorough examination of Anderson’s contributions most relevant. 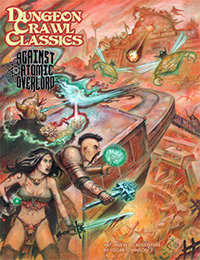 Although most fans of fantasy fiction and RPGs assume that the classic “old school” alignments of Law, Neutrality, and Chaos are derived from Michael Moorcock’s Eternal Champion series of stories, some will be shocked to discover that Moorcock openly borrowed that concept from Anderson. 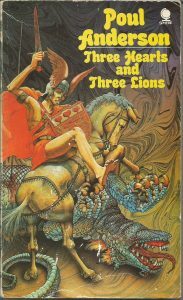 In his novel, Three Hearts and Three Lions (a book that, as we’ll see, had a huge impact on D&D), Anderson tells of a battle between the forces of Law and Chaos. Law is represented by humanity and the medieval Church. Facing off against them is Chaos in the form of the inhabitants of Faerie, dragons, and other supernatural beasts. A few individuals manage to strike a balance of non-involvement in the forthcoming battle, serving Neutrality. 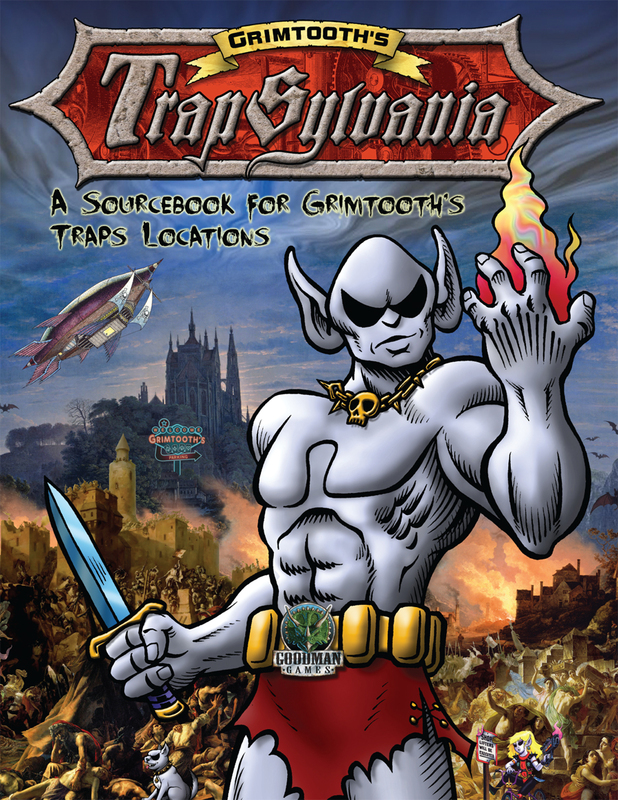 Gygax drew upon this novel when designing D&D, ostensibly using them as “sides” in the game’s early wargaming days, but then evolving them into moral compasses to guide a player when roleplaying his character. This tradition continues in DCC, where a choice of which side one serves plays a large role in matters such as healing. Alignment is an important part of another fantasy RPG element inspired by Three Hearts and Three Lions: the paladin class. Introduced in Greyhawk, the first supplement to D&D, the paladin is a type of fighting man who MUST be lawful and behave in a prescribed manner. Failure to do so results in the loss of his paladin status. In return for obeying these stipulations, the paladin receives benefits not enjoyed by other fighting men. A paladin can quest for a magical sword, perform healing, gains a free warhorse, and is immune to magic. These last two benefits come directly from Anderson’s novel and its main hero, Holger Carlson. As with the novel, a paladin who fails to remain strictly lawful loses his powers and can never regain them. 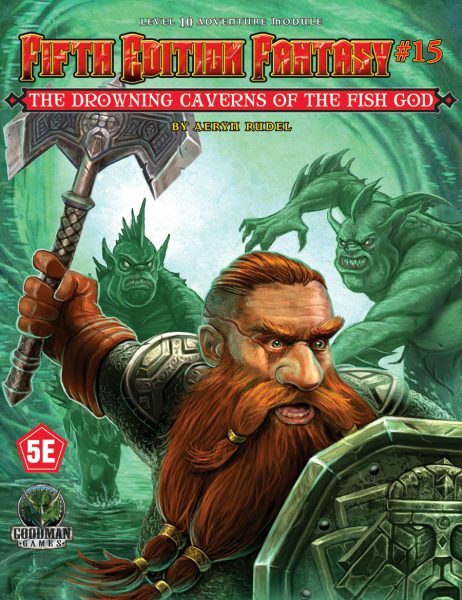 Holger Carlson faces a particularly nasty and repellant adversary towards the end of the novel, finding himself trapped in a lightless cave with a troll. Again, many fans of fantasy fiction would be surprised by Anderson’s depiction of the troll. Most readers might expect something along the lines of Tolkien’s three lumbering and quarrelsome monsters who almost eat Bilbo and the dwarves in The Hobbit. These beasts owe their general appearance and behavior to Scandinavian folklore. What Holger Carlson faces is nothing like that. 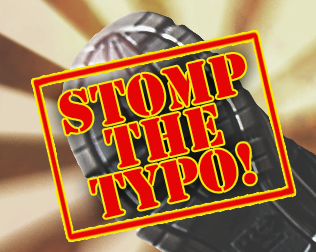 Instead, he must overcome a creature “perhaps eight feet tall…His forward stoop, with arms dangling past thick claw-footed legs, made it hard to tell. The hairless green skin moved upon his body. His head was a gash of a mouth, a yard-long nose, and two eyes which were black pools….” The monster proves immune to all of Holger’s attacks until fire is employed. This is without a single doubt the creature that gave us Dungeons & Dragons’ green-skinned, long nosed, and regenerative troll, a beast killed permanently only by burning it. 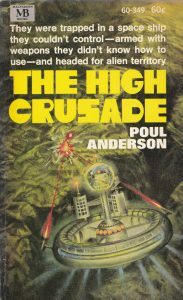 Another title worth mentioning in the context of early RPGS and Poul Anderson is his novel The High Crusade. The book tells the story of what occurs when an extraterrestrial scout ship lands in England during the 14th century, and the locals get their hands on alien technology. 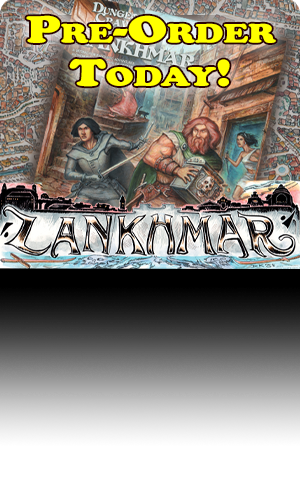 While the novel can’t be said to directly inspire any specific element in early RPGs, it does serve as a reminded that the barriers between fantasy and science-fiction weren’t as well drawn once upon a time. 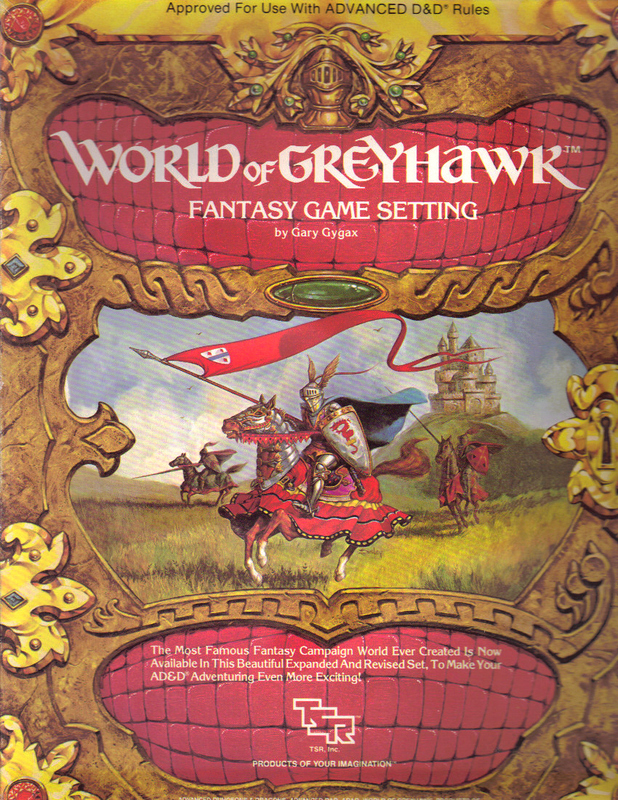 Gygax and Arneson were well aware of this and both the Greyhawk and Blackmoor campaigns were places where high magic and high tech sometimes rubbed shoulders. 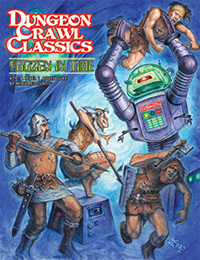 DCC continues that fine tradition with adventures such as Frozen in Time and Against the Atomic Overlord. 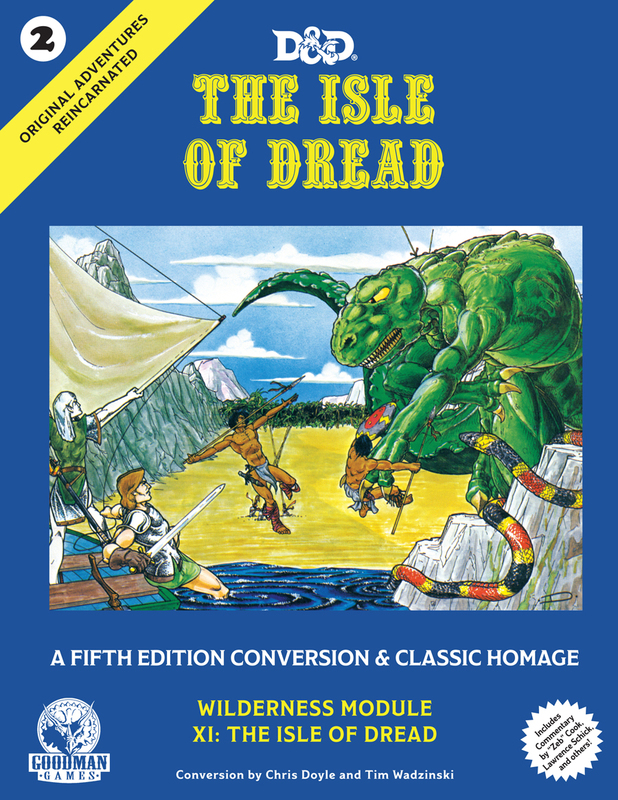 While Poul Anderson is not mentioned by Gygax as one of the primary inspirations to Dungeons & Dragons, his work nevertheless helped form the game and laid the groundwork that Dungeon Crawl Classics continues to build upon. 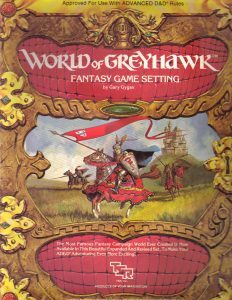 Those looking to get started with Anderson’s body of work are encouraged to begin with Three Hearts and Three Lions, The Broken Sword, and The High Crusade, all three of which Gygax explicitly name-checks in Appendix N. You won’t be disappointed in any of them and I guarantee you’ll look upon the hobby with fresh eyes once you’re finished.